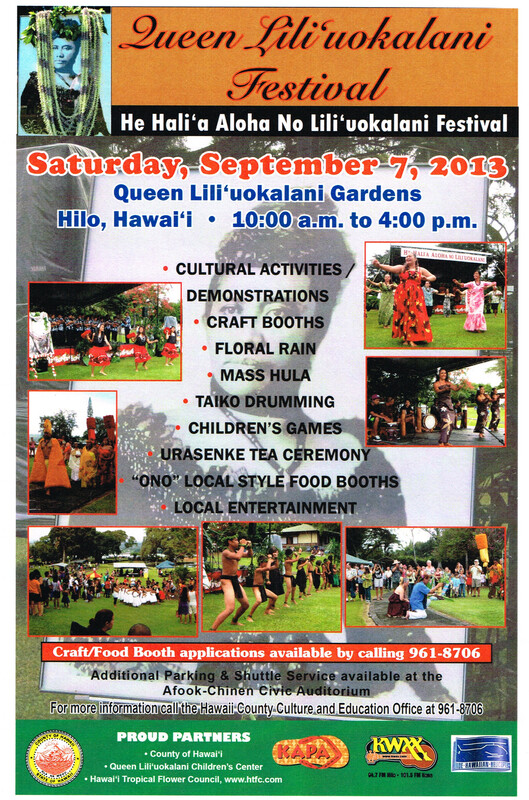 The Queen Lili`uokalani Festival — held annually on the occasion of her birthday — is a MUST for any family’s fun calendar. If you missed it this year (Saturday, September 7) be sure to watch for it next year. 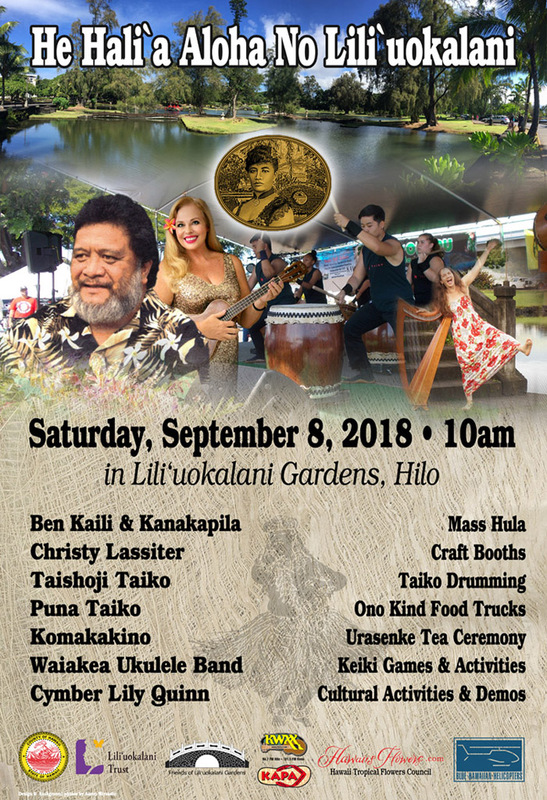 There is hula, entertainment, craft booths, demonstrations, children’s games, and good food just to name a few of the activities available in Lili`uokalani Gardens on Waiakea Peninsula in Hilo free all day long. The Royal Order, Ka`ahumanu Society, Hale O Na Ali`i and other dignitaries begin the ceremonies. More than 400 hula dancers from several halau begin the day-long festivities with E Lili`u E and The Hilo Hula. The big band stylings of Kahulanui closed the entertainment portion of the day around 4 p.m. The event is pulled together with a LOT of volunteer effort and the staunch support of The County of Hawaii Department of Parks and Recreation Division of Culture and Education and the Queen Lili`uokalani Children’s Center. 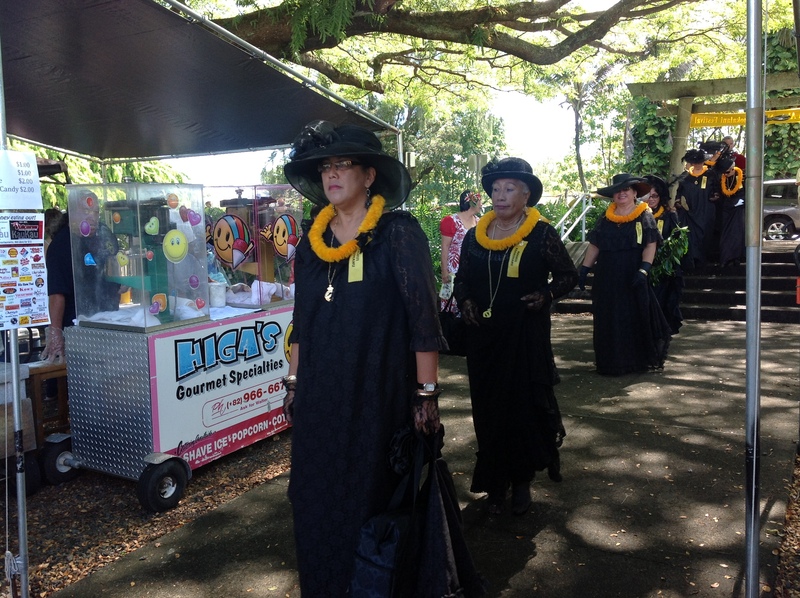 Land for the gardens was set aside in April of 1917 in honor of Hawaii’s most recent Queen. She passed away in November of that same year at the age of 79. Construction on the garden began before the end of the year. Royal interest in Japanese garden design dates back to the era of King David Kalakaua. There were Japanese gardens in Honolulu on royal properties by 1885. Hilo’s unique and substantial 20-acre Japanese garden was inspired by a 1914 visit to Japan by people active in economic development and beautification of the area. Japanese gardens were a popular design in the Victorian era. Photographs in this blog otherwise not credited to other photographers are by K.T. Cannon-Eger. If you borrow, be nice and give credit. Comments on this and other posts in this blog are welcome. The annual Queen Lili`uokalani Festival — He Hali`a Aloha no Lili`uokalani — will be held in Lili`uokalani Gardens Saturday, September 7, from 10 a.m. to 4 p.m.
Queen Lili`uokalani was born on September 2, 1838, installed as Queen Monarch on January 29, 1891, and entered into eternal sleep on November 11, 1917. 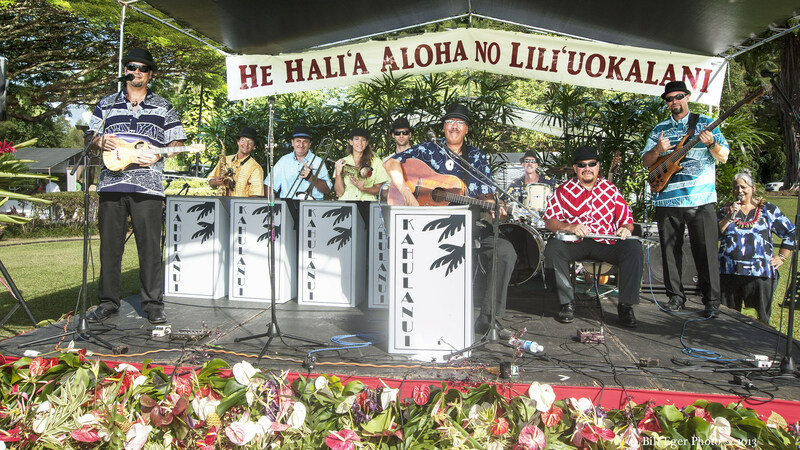 “The daylong festival includes music, hula, arts, crafts, food, demonstrations, children’s games and cultural activities,” according to Roxcie L. Waltjen, Culture Education Administrator for the County of Hawaii Department of Parks and Recreation. 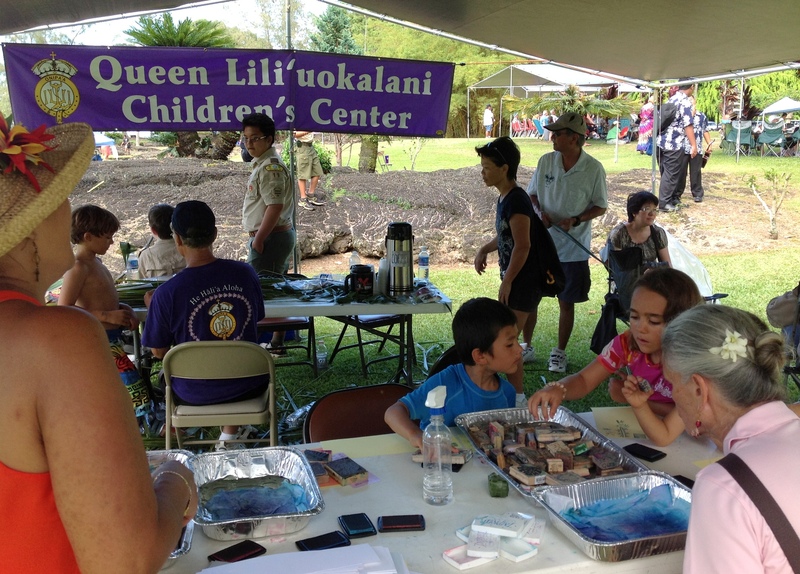 Sponsored by the County of Hawai`i, Queen Lili`uokalani Children’s Center, and Hawai`i Tropical Flower Council, the free festival also will feature local entertainment, taiko and Urasenke tea ceremony. “A bountiful variety of local foods such as Hawaiian plate, Portuguese bean soup, kalua pig with cabbage, hot dogs, bread pudding, smoked meat bentos, chili, saimin, fried poi balls, Spam musubi, smoothies, shave ice, cotton candy, malasadas, popcorn , baked goods along with other delicious, mouth watering specialties will be included on the day’s menu,” said Waltjen. “Hula is the major focus of the Festival and each year,” Waltjen said. 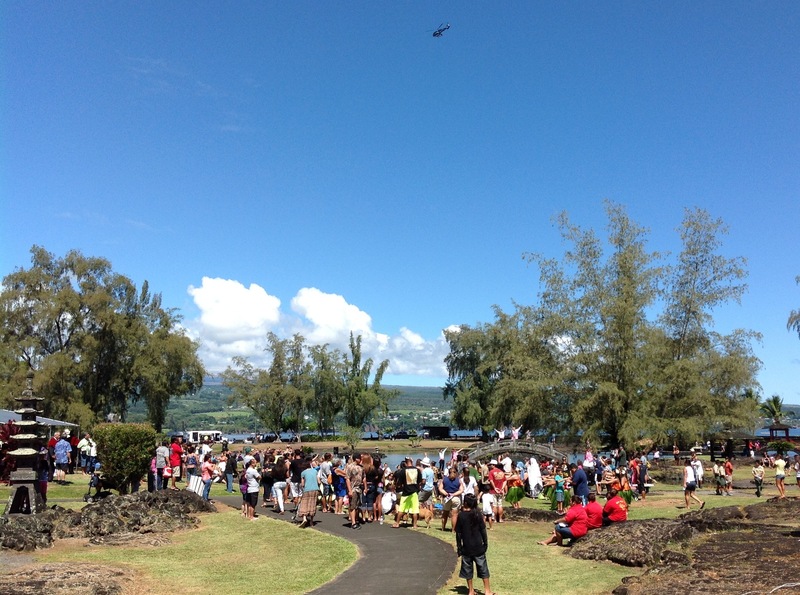 “Festivities are kicked off with a mass hula featuring more than 400 hula dancers scattered throughout the Park performing “E Lili’u E” and the Aloha Week Hula. Dancers from throughout the State and Japan dance together symbolizing the Queen’s vision to share the Hawaiian culture with the rest of the world. During this performance, more than 50,000 orchid blossoms rain from the skies above the park. Mass hula will involve the following halau: Na Po`e A`o Hiwa, Halau Na Pua Uluhaimalama, Kamehameha Schools Performing Arts — Elementary, Hula Halau O Hilo Hanakahi, Hula Halau O Kahikilaulani, Ka Hula O Nawahine Nohopuukapu, Kamehameha Schools Performing Arts — High School, Ke Ola Pono No Na Kupuna, Halau Ha`akea O Akala, Halau Hula O Kawananakoa, Hula Halau Lei Hiwahiwa O Kuu Aloha, and Halao O Kawaila`ahia. Parking is at a premium in the Banyan Drive area. Additional parking and shuttle service is available at the Ahfook-Chinen Civic Auditorium a short distance away. In addition to the County of Hawaii, Queen Lili’uokalani Children’s Center, and the Hawaii Tropical Flowers Council, other partners in the event include Pacific Radio Group, Hilo Fire Extinguishers, and Blue Hawaiian Helicopters. For more information, contact the Hawai`i County Culture and Education Office at 961-8706. Friends of Lili`uokalani Gardens will be on hand to begin a survey of park users assisted by the East Hawaii Island Master Gardeners Association.